The eighth and final UIPM Coaches Course of 2018 took place in the 2024 Olympic Games host city of Paris – and it was worth waiting for. 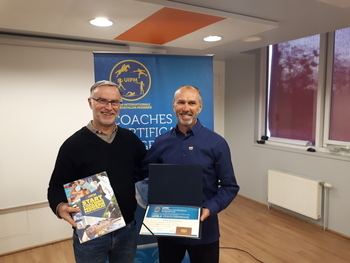 For the first time, a cohort of coaches completed the Level 4 stage of the UIPM Coaching Certification Programme (CCP) after five days of tuition in the capital of France from December 10-14. Six coaches attended the course at the National Institute of Sport, Expertise and Performance (INSEP), all coming from different countries and representing the continents of America, Africa and Europe. Each coach had to submit in advance a manuscript about a proposed coaching subject, which became the subject of an oral exam. The manuscripts will be published on the UIPM educational platform in due course. As with all other CCP courses, the coaches also had to pass an anti-doping e-learning assessment but it was the first time a CCP syllabus had included a module about athlete safeguarding and harassment prevention, in line with the UIPM Athlete Safeguarding Policy. 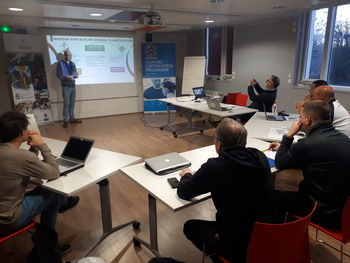 Apart from UIPM Instructors, talks were delivered by high-level French sports professionals working for INSEP, other national sporting federations and the national anti-doping agency.